The builders' merchant Travis Perkins will this week name the former head of British technology superstar ARM Holdings as its next chairman. Sky News has learnt that Stuart Chambers has been picked to replace‎ Robert Walker, who has chaired the FTSE-250 company for the last seven years. An announcement is expected to be made confirming Mr Chambers' appointment on Tuesday, according to insiders. 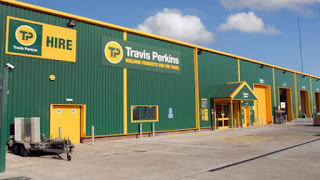 His arrival at Travis Perkins will be announced nearly four months after‎ the company struck a cautious note about the UK's economic prospects.